An animation background painter at the Studio since 1935, Claude Coats went to work for WED in 1955. His first assignment was to create the model for Mr. Toads wild ride. He later painted the fluorescent floor-to-ceiling backgrounds in the Fantasyland dark rides and contributed to Pirates of the Caribbean Attraction, The Haunted Mansion Attraction, The Submarine Voyage and the Grand Canyon and Primeval World dioramas. It was to Claude that, while working on the Rainbow Caverns Mine train, Walt uttered the famous line “It’s kind of fun to do the impossible”. 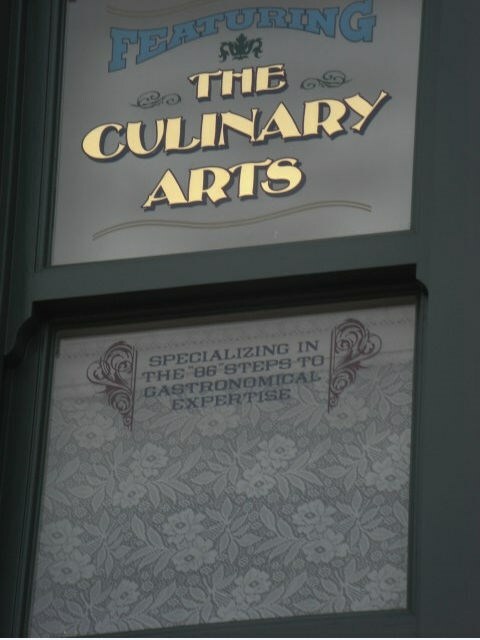 For Walt Disney World Resort, Claude contributed backgrounds to the Mickey Mouse Revue in Fantasyland Area and created If You Had Wings in Tomorrow land Area. 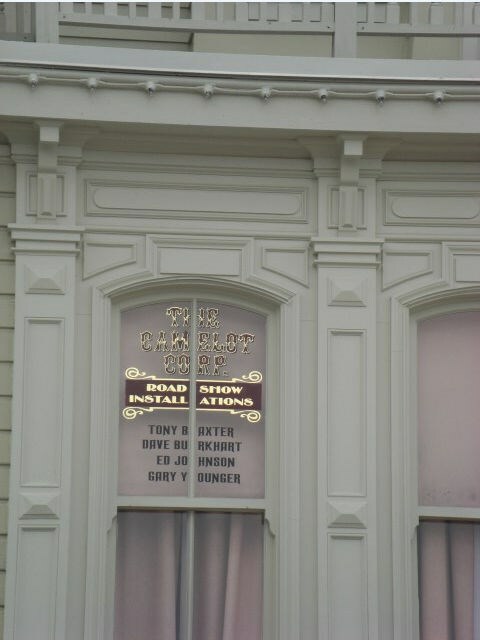 He designed the facade for The Haunted Mansion and acted as art director for the 20, 000 Leagues under the Sea and Snow White’s Scary Adventures attractions. He later lent his talents to the Universe of Energy, Horizons, and World of Motion pavilions in Epcot. 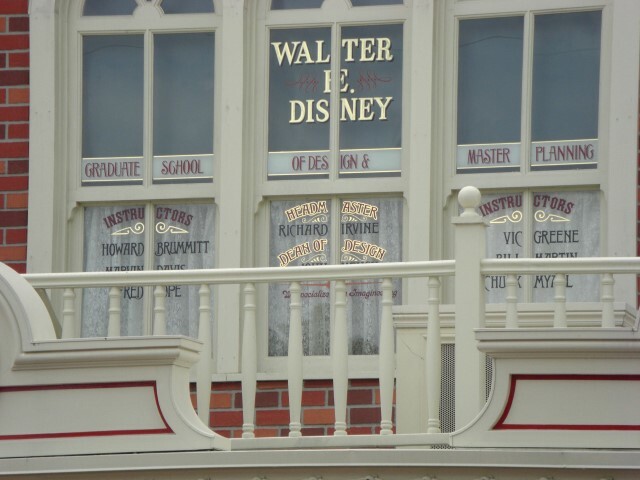 The “Big and Tall” reference in his Disneyland Park window refers to Claude’s height. He stood 6’6” tall. One of Walt’s legendary “Nine Old Men” of animation, Marc Davis later transitioned to WED to play a Key role in designing The Haunted Mansion Attraction, The Enchanted Tiki Room, and “it’s a small world” Attraction. 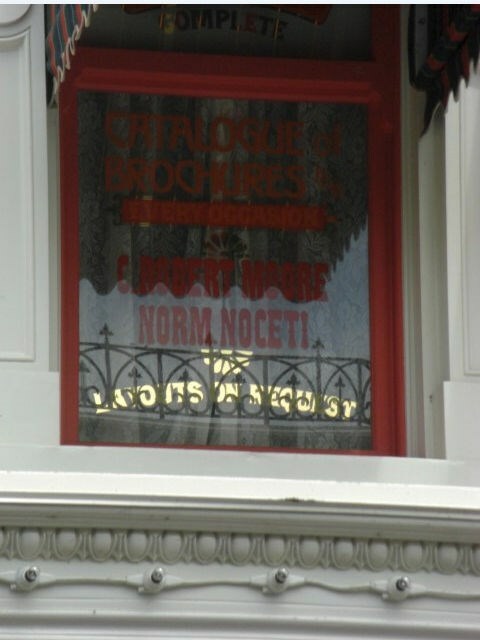 His dozens of sketches for Pirates of the Caribbean Attraction, including the famous jail scene, are now legendary as a result of the namesake motion pictures. Marc was the first to add humour to the attractions when he was asked by Walt in 1964 to add comedic touches to the nine-year-old Jungle Cruise Attraction. 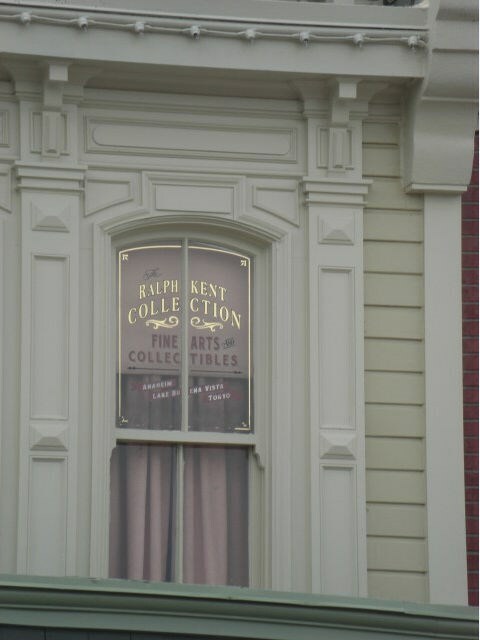 This changed the attraction from a “True-life-Adventure” to a humorous show, an idea that was controversial at the time. 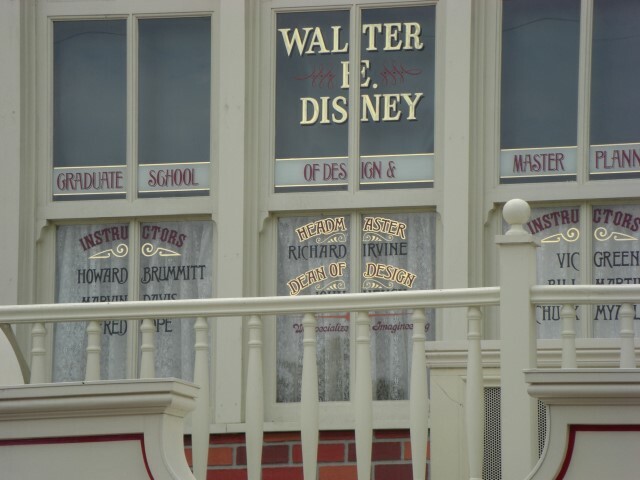 He also created America Sings in Tomorrow land Area. (Upon the attraction’s closing, the bulk of its characters became the cast for Splash Mountain Attraction. ) 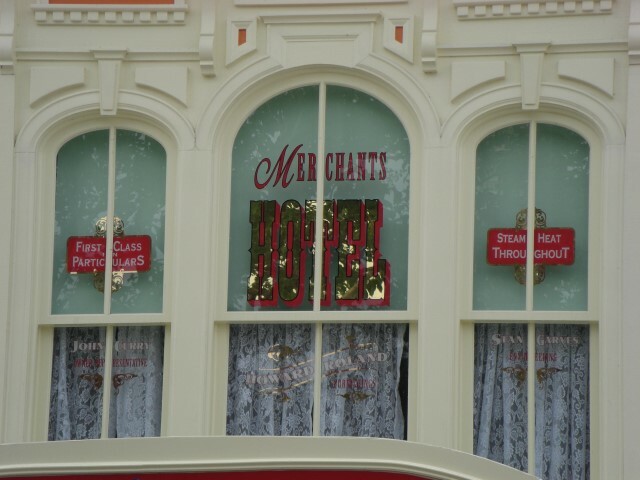 For Walt Disney World resort, Marc created Country Bear Jamboree and was art director for Jungle Cruise. 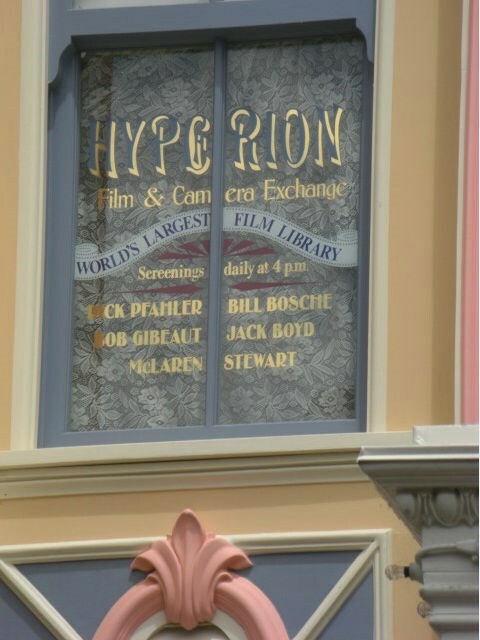 He later consulted on the World of Motion pavilion in Epcot. 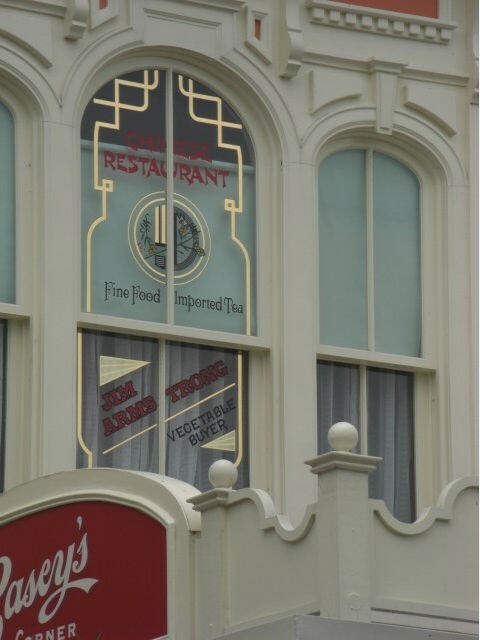 Marc’s Disneyland Park window makes reference to his extensive collection of New Guinea art. One of WED’s master planners, Marvin Davis was responsible for drawing up the initial site plan that became the blueprint for Disneyland Park. His drawing, dated September 1953, was the first to contain the “central hub” concept. 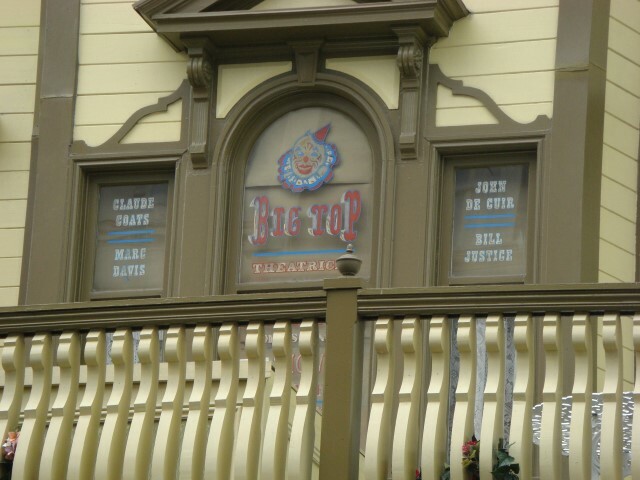 Marvin also worked on Main Street, USA area, Sleeping Beauty Castle, and the Haunted Mansion Attraction in Disneyland Park. While it took sixty-nine tries to finalize the master plan for 200 acres of Disneyland Park, Marvin was able to lay out the initial 27, 000 acres of Walt Disney World resort after only seven attempts. While the Florida site was being planned, Marvin was known to translate Walt’s ideas for Epcot from sketches Walt Drew on napkins. He closely worked on Disney’s Contemporary resort, Golf resort, and Disney’s Polynesian resort for Walt Disney World resort. Viewed 1693 times since 2 June 2015.